I was moved to paint "Ouch!" because it was so engaging. 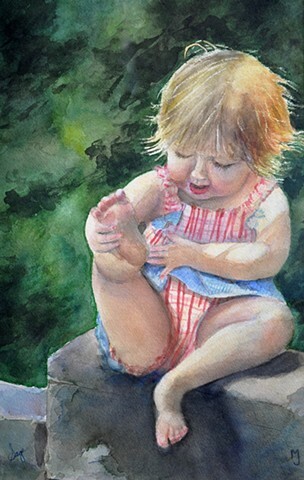 Obviously there's something wrong with her foot, but she's not crying, rather examining it with puzzlement.